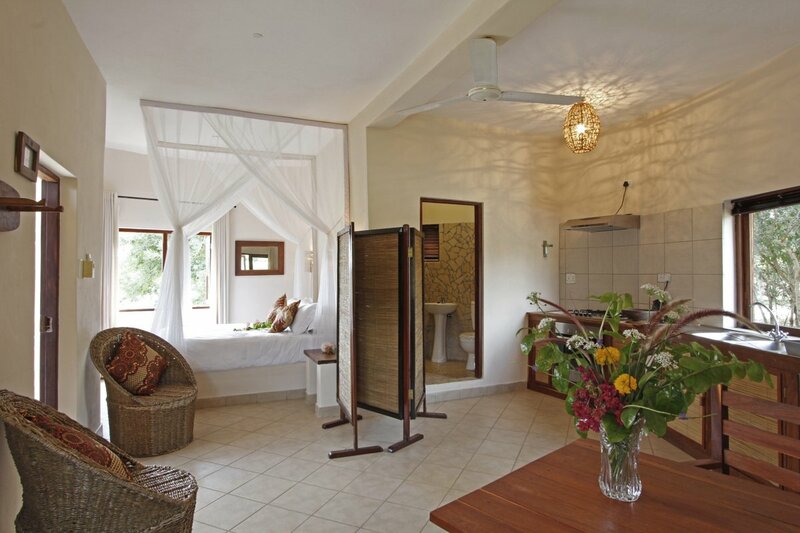 Located in Vilanculos Mozambique, Golden Sands Apartments are the first of the convenient self-catering options from Sol Resorts. The complex comprises of 4 modern apartments, two on the ground floor and two on the upper level, each with stunning sea views. There are also two self-contained chalets, ideals for couples. Golden Sands also features an outdoor swimming pool and BBQ area. Each air-conditioned apartment has two en-suite bedrooms, a spacious open plan living area and kitchen and is stylishly furnished and accessorized. The Chalets are one large round room with a double bed and a single sofa bed, with a separate fully fitted kitchen and shower/toilet. The 2 Chalets are set back from the seafront but with easy and direct beach access and are perfect for singles or couples. Vilankulo serves as the gateway to the marine paradise of the Bazaruto Archipelago. The clear blue waters play host to a myriad of ocean life and there is a wide variety of water sports available including scuba diving at one of the top spots in the world, snorkeling and deep sea fishing. The on site management will assist in organizing activities for guests on request. Activities are outsourced & payable directly to the suppliers.